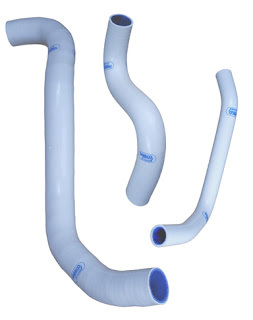 I noticed a press release for Samco hoses in Turbo Magazine yesterday. Heres a link to some pictures. 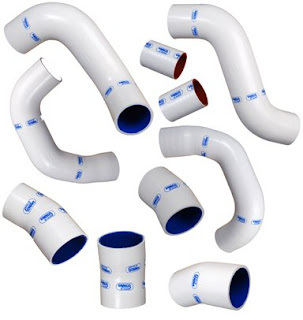 Samco hoses are available in a number of colors. 3 piece kit for the radiator and a 10 piece kit for the intercooler hoses. More pictures of ho se.